Sourced from Europe, our premium raw 7075-T6 heat treated aluminium plates are prepped and rigged before securing them into position in the CNC machine. Operations (known as Ops) refer to the workflow of software to hardware. A Chainringâ€™s unique design file is uploaded to the CNC, which gives it the information to perform each â€œOpâ€. Most Chainrings are created via two Ops, one that cuts out the front and the other that cuts out the back of the raw plate of aluminium. More complex products may need several Ops to machine. Tolerance checks are religiously performed between Ops to maintain CNC calibration. A thorough polish removes sharp edges or burrs and any other excess material left over from machining. Things really get exciting when the bare aluminium chainrings head off for Anodising to decrease wear rate as well as making them look RAD! Designs and cSixx logos are etched on with lasers … because lasers are awesome! 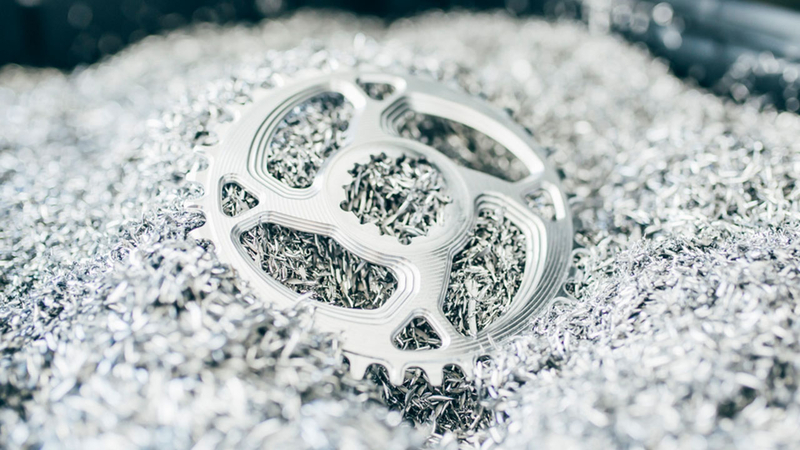 After a final quality check Chainrings are packaged, catalogued and queued, ready to be shipped to your LBS, and if there isn’t one nearby, direct your door.